Guess everyone saw the near slaughter in Houston where 5 cops were shot. Two officers remain in the hospital in critical condition. 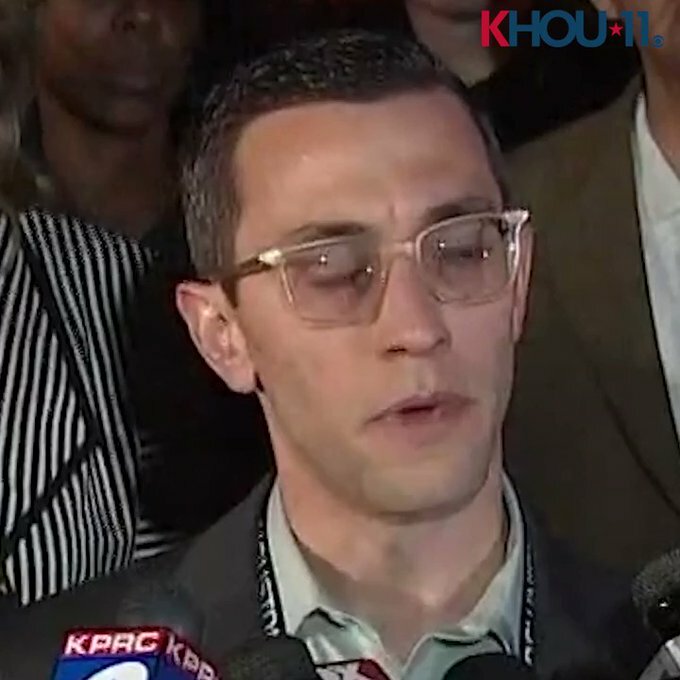 In the aftermath of this situation, Houston PD union president Joe Gramadi held a news conference and said…”Enough is enough, we’ll take note of those that sully the good name and reputation of police officers.” Further, he stated that all this acrimonious BS started with Ferguson and the false narrative of “hands up, don’t shoot.”…Couldn’t agree more. Seems like everybody wants on that train. Well, think again. It’s time for the main stream media to report factual circumstances rather than some goof yammering about what they say they saw. In Ferguson, the reporting was extremely biased and INCORRECT. Even the DOJ report says that hands up don’t shoot was FALSE!! All cops know just how bad Holder and Co. wanted to place a cop’s scalp on their totem. Keep up the pressure, Joe. Sounds like Houston could use a mayor like you. May god bless the men and women of the Houston Police Department and all who serve and protect.